If you have a fire in your home or office, the damage is not only disruptive. It's devastating. Structural and interior damage can be compounded by secondary damage to your belongings. Our goal is to minimize your loss and restore your peace of mind. Your emergency is our specialty. 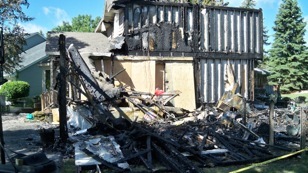 Fire damage repair and remodeling services. Restore your property and your peace of mind. We get you back in business in no time. When you have fire damage, call (612) 254-9542 for quality restoration services.